What is the Expression Builder? The Expression Builder in CAS is the building block for writing expressions. 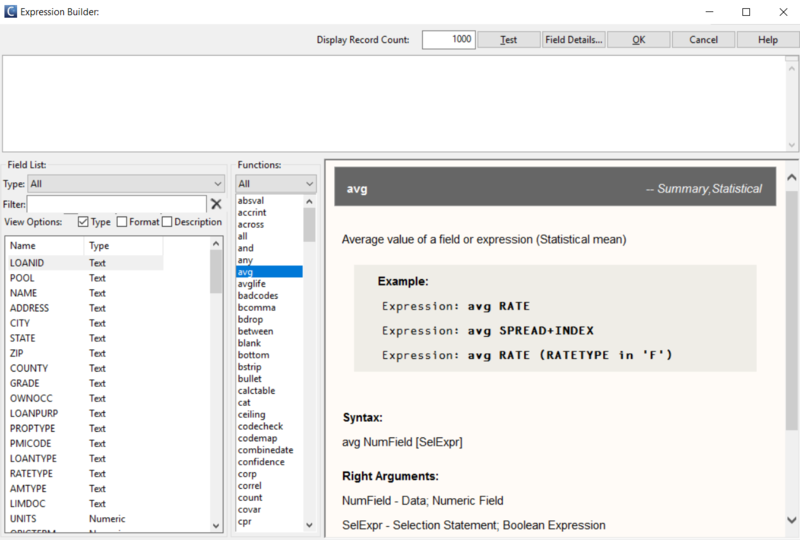 Most CAS expressions are a combination of an UPPERCASE FIELDNAME and a lowercase function, and the expression builder displays the fields and functions to choose from. You can test the expressions to see if they give the results you are expecting. 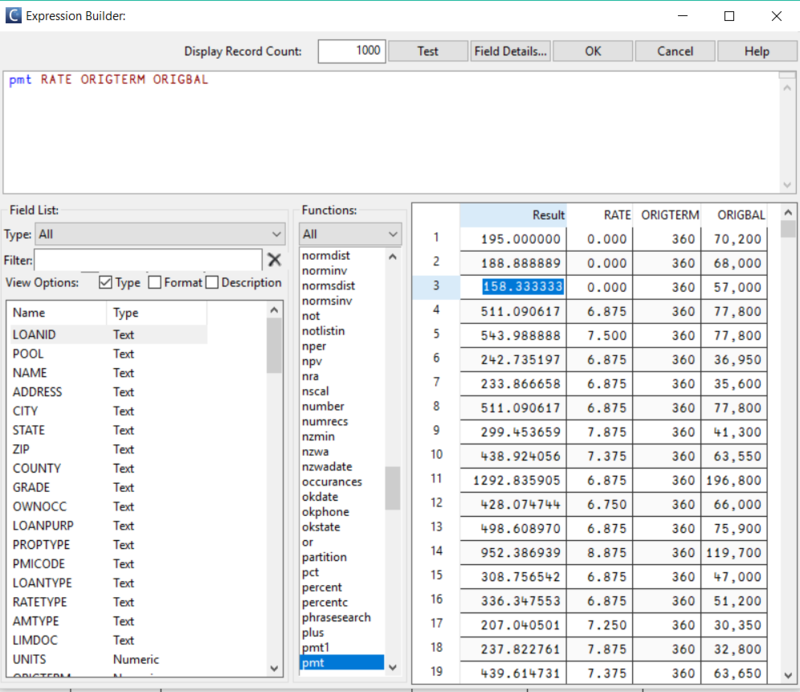 You can get to the Expression Builder, in any cell where you see "Selection Statement" or "Expression", by pressing the "F3" Key. The white area is where you can write an expression. Autocomplete works here for all CAS FIELDS and functions. All of the Fields in your current CAS file are listed on the bottom left. 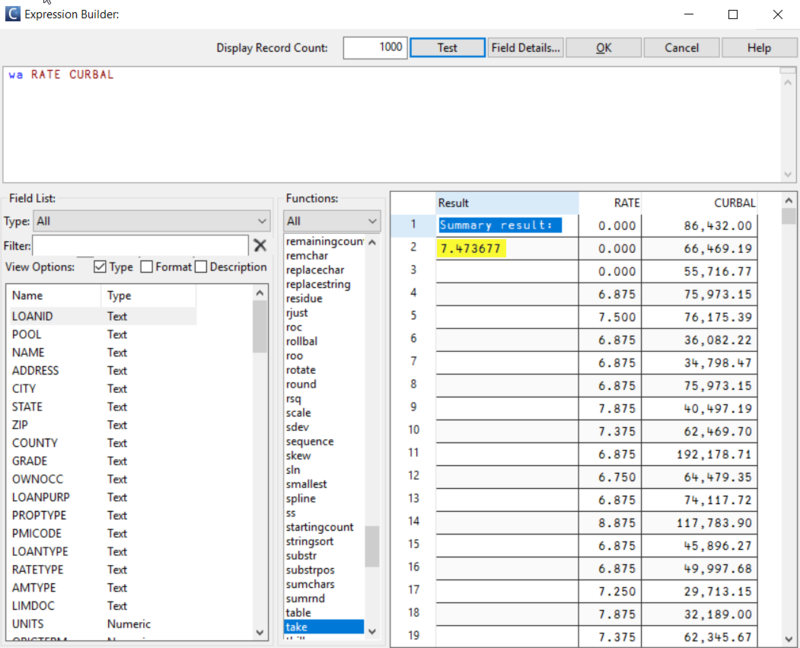 If you select a field and click "Field Details" it will show you some data on the right half of the window so you know some of the ranges and values you will be working with. 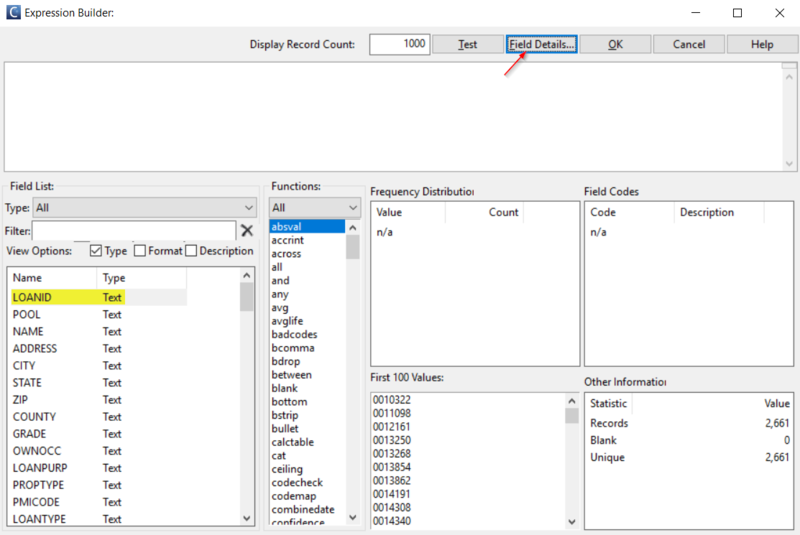 All of the CAS functions are listed to the right of the Field Names. If you click on a function, the help for that function will be displayed to the right, with an example of how to use it. There are 3 types of CAS Expressions. 1. Summary Expressions- These result in one number or value which summarize a column or several columns. The function "wa" returns the Weighted Average below. The results with the first x records are displayed on the right. 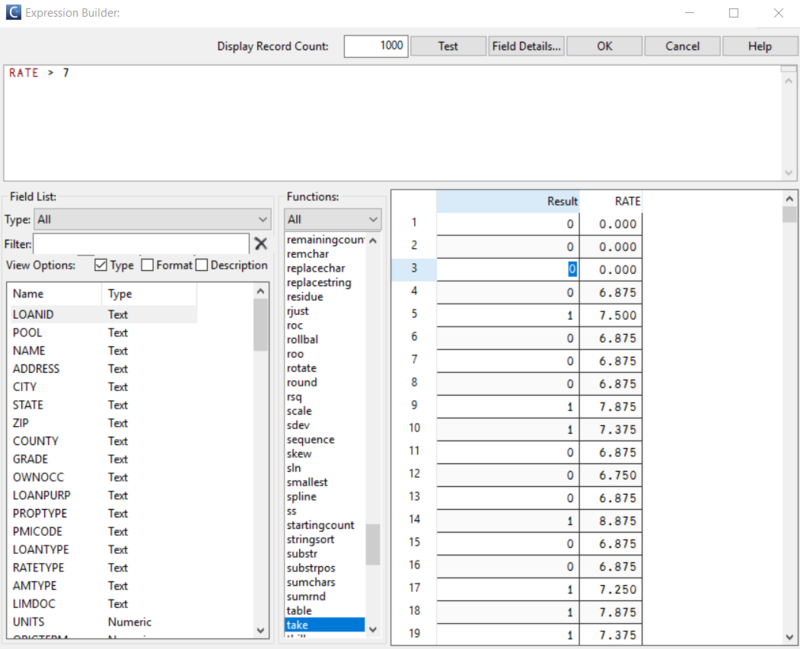 Summary functions are used on the Column Stats or Summary Stats tabs of reports. 2. Selection Statements- These are Boolean Expressions which create a True/False result for every record. Selection Statements are used where noted, and flag a subset of data in Edit Sets and Selection Criteria. True = 1, False = 0. 3. Record Level Expressions- These create a new field or overwrite existing fields, and thus create a result for every record. These are typically used within a Calculation Set.